Is this the end of the ‘Traditional’ Skill Card in PE? Interactive skill cards the future? I have always been a fan of peer to peer teaching, and letting students teach one another. According to Hattie, “children learn better from their peers than from a teacher or a book”. I have always agreed with this, especially during observations of other teachers and reflections of my own teaching. It is hard to change a style of teaching if someone have always put information across in that fashion. ‘If it is not broken, don’t fix it!’ sort of attitude. During observations of different teachers, subjects and curriculum I have seen some amazing teaching taking place, and then I have seen some ‘grade 4/unsatisfactory’ lessons, if we are using the old Ofsted criteria. Some lessons having a ‘one size’ fits all attitude, with very little differentiation taking place. By no means do I think I am a super teacher, but reflecting on my own practice constantly, and aiming higher for the department is this years plan. Now we are not a one to one device school, we have three ipads in the dept, and we ask the kids to bring their own device for certain lessons. I have one gymnasium and class sizes of 20-35, so when incorporating technology it has to be in groups. Like any educational setting it seems to be the norm to save costs where possible, and going paperless in many classrooms seems to be the way forward. So how can we still produce quality learning resources on a budget? Something we have been experimenting with is ‘Solo Taxonomy’ in PE, and I will blog about this at a later date. Within the different stages of the taxonomy I wanted to set different challenges to the different levels. I already use different types of technology within my lessons, and always looking for new ideas. Now I am a big fan of the ‘Comic Life’ app, and producing skill cards/posters on there. I like things to have that wow factor, but also have an impact on learning. With the later being the most important. I have looked at flipping the classroom lots of times, and like that learners can learn at there own pace, and can recap the information if needed (as well as many other pros/cons). 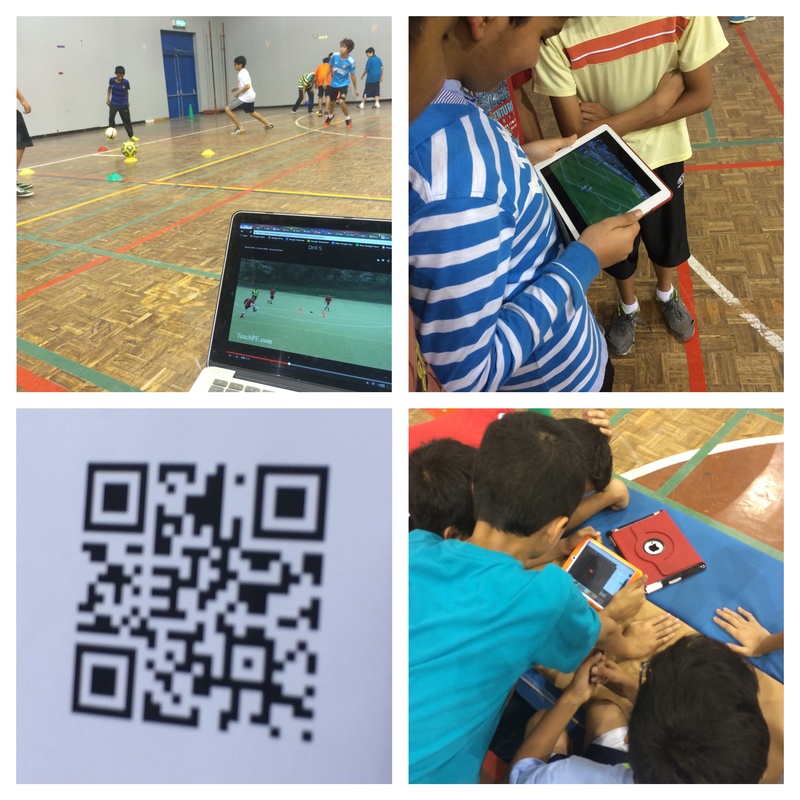 Then when in the classroom there is more time for skill development/ questions/ checking for understanding. Though to date I have never done this in PE. So everyone I have spoke to seems to use the idea of flipping the classroom for more theoretical concepts in PE. I had a conversation just last night with @PE_PWATLING about the use of blendspace. 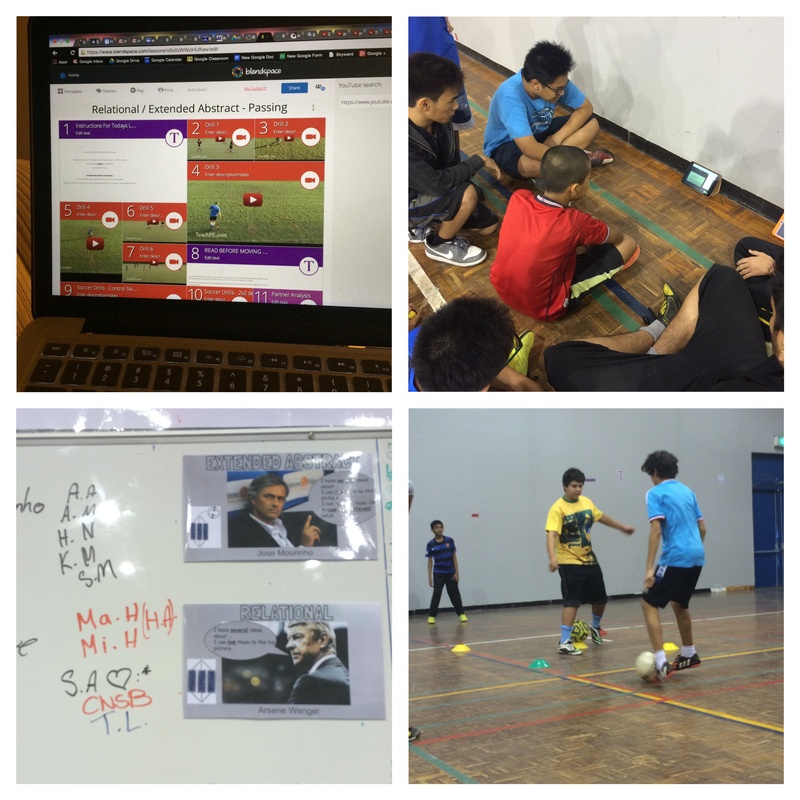 I had recently posted a basic overview of ‘soccer passing’ to my google classroom to my MS/HS students. I had never used Blendspace till this week! I was pleasantly surprised, firstly how easy it was and secondly how many different types of media/resources can be used. I included a few videos and a quick google form to check understanding at the end. Now within Solo Taxonomy there is five different stages, and students can see an improvement within these stages in one lesson or a number of lessons. Now I knew the majority of my students would be in the multistructual / or relational stages of passing as we were a few lessons in. I wanted different challenges for the students to be able to achieve, but also be active. I was going to produce a traditional skill card on passing that would include pictures, coaching points, QR codes to videos etc, then I thought could Blendspace do the same job?? I set about making a slightly different Blendspace page for the different levels, challenging the Relational stages with more technical drills. Each group could work at their own pace, and take ownership of their own learning. The videos included key demonstrations with coaching points, different practices for students to work on in groups and google forms to provide a basic analysis of these key points. It enabled me to be able to walk around and listen to the conversations taking place, and question students further, to aim for that deeper learning about a subject. Feedback from students about the type of learning taking place, and from observations from peer colleagues was positive and something as a department we will look at doing again in the future. I earlier experimented with using daqri for something similar, but when time/work ratio was assessed this would be a better alternative. Have you used something similar? How do you create your learning resources? Have you asked your students how they prefer to learn? Fascinating stuff. I’d love to see an example of a skill card you made with blendspace. This is certainly differentiation at its best. I can imagine the talented students really thriving in this environment, working together and challenging each other to improve their skills. In fact, all students would thrive in this environment, it would give less athletically gifted students a chance to practise their skills in a non-threatening environment. How were the groups selected at the beginning? Cheers mate, hope your well. Let me know how you get on. I would be intrested to hear some feedback from admin.